It's spring time which means that many homeowners are beginning to get letters from their Homeowners Association (HOA) about maintenance. While many of these maintenance procedures may make logical sense, there is one area of maintenance that may confuse many homeowners: paint maintenance. 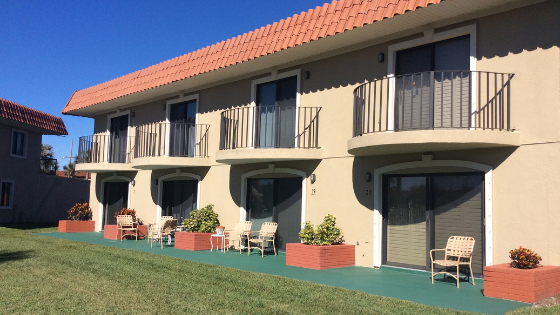 For most people, HOA painting standards may seem baffling. They often require frequent paint maintenance to houses that, to a layman's eye, may seem perfectly fine. But there are five good reasons that your HOA requires regular paint maintenance. Paint does more than provide nice, aesthetically pleasing colors to your home; it also protects the surfaces that it covers, such as your interior walls, wood, trim, doors, ceilings, and more. What's more, paint can actually wear out. Factors such as sunlight, humidity, rain, rot, and general wear-and-tear can wear away your paint. This can take away the protective coating it provides for the surfaces in your home. Flaking paint can often be an early warning sign of deeper issues. HOA painting maintenance strategies will give professionals the opportunity to appraise any peeling paint and investigate any potentially more serious underlying issues. The most common cause of flaking or peeling paint has to do with cosmetic issues, such as expired or poor quality paint or improperly applied adhesive. However, it can also signal serious issues such as water damage to walls due to leaking pipes. It's a good idea to make sure homeowners are taking note of and reporting any paint issues that arise, even if it's not a part of regularly scheduled maintenance. HOA painting maintenance guidelines exist to ensure that any paint job that is done, is done by professional contractors. The particulars vary by HOA. Sometimes there are rules governing whether or not a homeowner can paint their home, choose color palettes, and organize timelines for a paint project. It's a good idea to check with your particular HOA to determine what these guidelines are before setting out to perform any paint maintenance. It's extremely common for HOAs to have a professional relationship with professional paint contractors. Whether the HOA directly hires a paint contracting company or provides a list of recommended contractors, it's important to adhere to these recommendations. Paint maintenance isn't as simple as choosing a color and slapping a coat of paint on your surfaces. Surfaces must be carefully watched and inspected before painting. It's possible some surfaces will require sanding and an additional layer of primer before adding the fresh paint. Especially in an intentional community with multiple homes or units, consistent quality is important, which is why most HOAs require using professional paint contractors. A major reason that HOAs exist is to provide a valuable community and maintain a certain common aesthetic. Communities with HOAs are planned and often abide by certain cosmetic standards that help boost the value of the entire community. Painting maintenance is an important factor in making sure the community is preserved and its value doesn't fall. HOA painting guidelines ensure that interior and exterior paint is kept looking fresh and clean, as well as ensuring that all surfaces are well-maintained. As we discussed above, paint serves more than just a cosmetic purpose. It doesn't just make your home look good, it also provides protection to the surfaces and structure of your home. HOA painting maintenance strategies will prolong the value and quality of the homes in the community. Regular maintenance significantly reduces the future need for repairs and will save money in the long run. For many surfaces that see more wear than others, it is recommended to re-paint every two years. This may seem like a lot, especially if the surfaces are visibly damaged or cracked and everything looks fine. But, visible or not, paint does regularly wear down. And in order to ensure that the quality of home is maintained as long as possible and in order to avoid expensive repairs, regular paint maintenance is often required. Your HOA painting guidelines are there to benefit the community. And companies such as Performance Painting partner with homeowners and HOAs to provide the important function of paint maintenance to make sure your home surfaces are protected and look fresh year after year. Meagan Adolphson is the Office Manager at Performance Painting Contractors. Meagan provides customer service and assists the project managers to ensure success for each project. Meagan’s talents don’t stop there, she assists Jason Parker, the owner, with various office duties to keep things running smoothly.